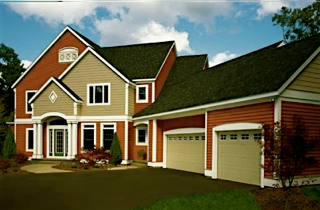 Sterling Home Improvement, Inc. located in Danvers and Beverly, Massachusetts, has provided Massachusetts, Rhode Island and Southern New Hampshire homeowners with professional and reliable vinyl siding, replacement windows, blown-in insulation and roofing for more than 30 years. Started in 1979, and incorporated in 1995, we are committed to offering homeowners the best quality, service and price for their home improvement needs. Each Sterling Home Improvement, Inc. project is custom designed to meet our clients’ individual needs. All of our materials are cut and shaped on location to guarantee that everything we install fits our clients’ home the first time every time! When you need vinyl siding, replacement windows, insulation or roof replacement, look no further than Sterling Home Improvement, Inc. We look forward to your business! We offer free estimates for all our prospective clients. To receive more information, please use our Free Estimate form or contact us by phone. New siding, windows & roofing separate homeowners from the elements...... and some contractors from all others.